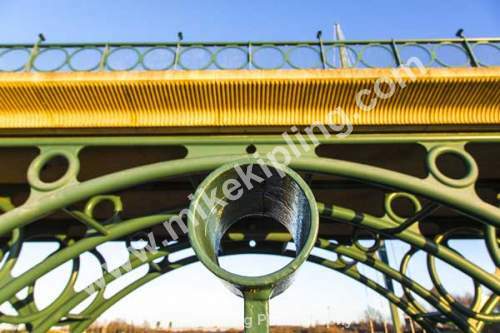 Mike Kipling thanks to partnerships with a professional photo processing lab and a specialist 3D canvas printer is now able to offer a wide range of print sizes from his extensive library of photography at very competitive rates posted to you. Our printer only uses 100% cotton, artist quality canvas, using state of the art archival printing technology, which is water resistant and gives 75 years protection against fading. The canvas is then sprayed with a lacquer to further enhance and protect it. Canvas prints are supplied with a dentate fitting, ready to hang on your wall. This service is not available for overseas orders at the moment. Our professional processing lab prints on real glossy photographic paper (not ink jet) using either Fuji or Kodak archival paper achieving a claimed 100 year anti fade life when framed behind glass out of direct sunlight. Size 12 inches x 8 inches or 10 inches x 8 inches depending on format Price £35 including UK postage and packing. The prints are dispatched in strong card tubes and sent Royal Mail recorded delivery. Please note a few images may not be appropriate for enlargement and we will always advise you before ordering. Before ordering, please ensure you have read and understand our Terms and Conditions of Sale. To purchase by credit or debit card please email your requirements (reference number and title of the image, size and number of prints and delivery address) to and we will email you simple secure PayPal payment facilities. Overseas clients please pay by credit card and add £10 for additional postage. Please state clearly reference number and title of the image, size and number of prints and delivery address. If you require an acknowledgement please include your email address. Prints are normally dispatched within two weeks of receipt of order. At Guisborough Gallery you can go on line and choose any image from the web site to be printed, mounted and framed to your specification.